NFTA: Accredited Personal Fitness Trainer Certification/Personal Trainer Certification/Natural Strength & Conditioning Trainer Certification/Natural Bodybuilding/Natural Health/Martial Arts Certification - Coming Soon! *Drop Down To Select Your Language Dutch French German Italian Portuguese Spanish RedNeck Under Construction Must agree to the NFTA Language Translation Disclaimer. The *NFTA offers you the most convenient, ethical, and affordable Personal Fitness Trainer Certification. Learn online, in comfort, and at your own pace. Certification testing is available online, whenever you're ready. Becoming a Certified Personal Fitness Trainer, Natural Strength & Conditioning Trainer, or Success Coach couldn't be more convenient or affordable! Natural Fitness Methods & Strategies. Beginning, Intermediate, Advanced & Elite Programs - with an almost infinite number of Program Variations/Modifications. Calculating Rest & Recuperation Periods. Important Natural Bodybuilding Canons, Tips & Myths. Weight Loss & Management Information. The NFTAâ€”Setting and raising the standards that the other associations follow. Policy Information: The NFTA reserves the right to withdraw or change this and any other offer's at anytime without notice. All policies, terms & conditions are subject to change without notice. Access to the NFTA website and members area is not guaranteed due to numerous concerns. Examples include but are not limited to the following: Network Downtime, HTML Coding Errors, Internet Service Provider Downtime, Phone Service Interruptions, System administrator program "crashes, etc. Although, we will make every effort to format this information to display correctly on different browsers, results will vary depending on the type of browser that you are using. The NFTA does not accept responsibility for typographical errors, html coding errors, lost or orphan html web pages. 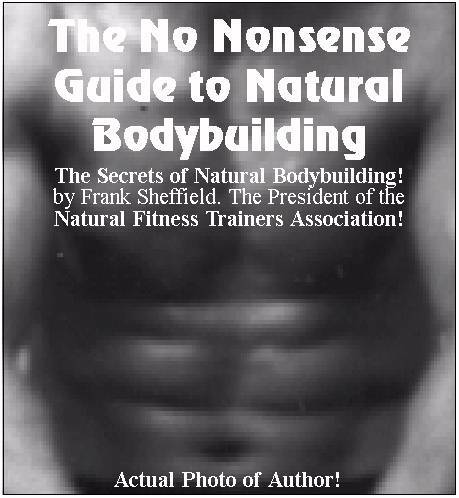 Copyright Information: This website and its entire contents are Copyright Â© 1998-2013 by the Natural Fitness Trainers Association (NFTA). You are free to add links to any NFTA HTML page, other than the HTML pages contained in our members area. All Other Rights are Reserved. Please contact us if you would like to obtain reprint rights for any of this information. Trademark Information: The following terms are trademarks of the Natural Fitness Trainers Association: Natural Fitness Success Coach, Natural Strength & Conditioning Trainer, Natural Sports Trainer, Natural Fitness Trainer, Natural Health Club, Natural Fitness Center, and Natural Trainer. This list is not all-inclusive as other NFTA trademarks may be in use elsewhere. All rights are reserved. *Please see our complete disclaimer and terms of service for additional Policy, Copyright and Trademark Information.